View Matrox Imaging Q&A session regarding Photometric stereo techniques. 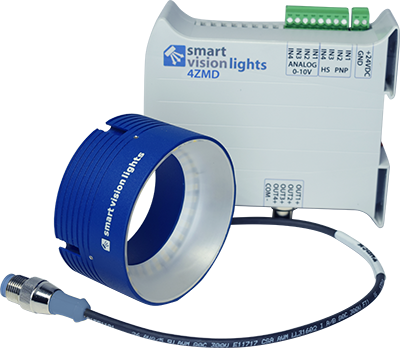 4ZMD - The 4ZMD is an external driver that permits control of up to four separate light zones either independently or simultaneously, in any combination. The 4ZMD has independent intensity controls and built-in Multi-Drive™, allowing a range to be set from 10%–100% for continuous operation or OverDrive™ strobe mode. 4ZMD - The 4ZMD is an external driver that permits control of up to four separate light zones either independently or simultaneously, in any combination. 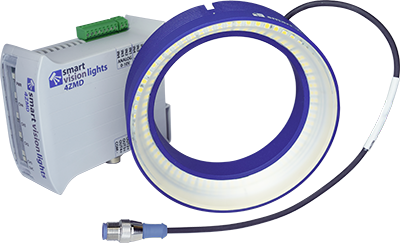 The 4ZMD has independent intensity controls and built-in Multi-Drive™, allowing for a range to be set from 10%–100% for continuous operations or OverDrive™ strobe mode.